Located at a distance of approximately 145 kilometers from Bangalore city, Mysore offers tourists with umpteen numbers of options for spending their weekends. Our team at Bangalore Tourism bring you the travel guide on how and where to hire the 5 best car rental services to Mysore from Bangalore without any hassles. 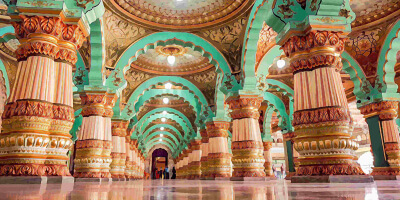 The 'Ivory City', Mysore is one of the most interesting tourists destinations of the India. The city has rich cultural background along with a significant role to play in the history. The city has some renowned institution that well maintain the age old traditions of Carnatic Classical music and dance. Soothing environment of the place makes the trip even more enjoyable. We are delighted to offer the best and exclusive deals to the travellers from various car rental service providers to Mysore from Bangalore. Hope this list may help you to make it a little easy, and help you from the trouble of finding the best car rental providers from Bangalore to Mysore at the best price. We have showcased the best cab vendors who offer low cost price to Mysore from Bangalore. Most of the below cab vendors offer vehicles like Tata Indica, Swift Dzire, Toyota Innova, Tempo Traveller, etc.. to explore Mysore with comfort and luxury. The first thing that comes to your mind when you think of hiring a car rental service for a seriously long distance travel is — COMFORTABLE ride, isn’t it? Of Course then comes price! We help you find the most comfortable cabs and also at the best prices whenever you hire a cab to Mysore with the below car rental service providers. Let us take you through the list of the Best Car Rental Services in Bangalore, when you are traveling towards Mysore. 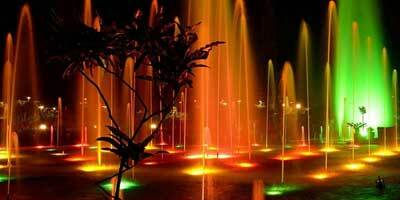 In order to have a wonderful trip, you also need keep yourself updated on the most popular places to visit in Mysore. So our experienced travel experts have also curated a travel guide for you. 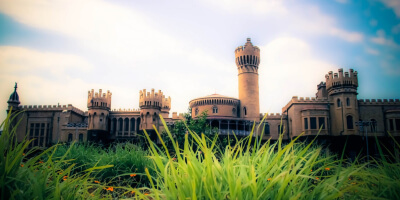 Please check below the popular sightseeing spots that you can plan to visit by renting a car from Bangalore to Mysore from one these listed cab service providers. Rightly called as the “cultural Capital of Karnataka”, Mysore has so many monuments and places worth visiting that one weekend is just not enough. From religiously significant places to breathtaking gardens to rich flora and fauna for nature lovers. And also from magnificent festivals to exceptional art work to colourful festivals, this “City of Palaces” will keep tourists busy throughout the trip. Mysore sees hordes of tourists during the festive season. If interested in getting a glimpse of the exceptionally colourful, lively and grand look of Mysore, visiting the city by hiring a car during the Dussehra Festival (Navratri) is a good idea. Dussehra is celebrated for a period of 10 days every year. The festival was started by King Raja Wodeyar I in 1610. On the ninth day of the celebration which is called as Mahanavami, the imperial sword is worshiped and processions with ornamented elephants, camels and horses are taken out making for a sight worth remembering all your life. Mysore was the capital city of Wodeyar's who ruled the Mysore Kingdom. It is under their rule that the city thrived in crafts and arts and took it to a different level altogether. Mythological, the city has its origin when Goddess Chamundeshwari of Chamundi Hills killed the wicked buffalo-headed demon, Mahishasura and thus was called as Mahishur then. As soon as you book a car rental service to Mysore, you will be picked right from your doorstep in Bangalore. It takes about 3 to 4 hours to reach your destination.Once in the city of Mysore, tourists will have various places to go for sightseeing. From architectural wonders to mesmerising natural settings to religious places, one can pick and choose the places as per his or her liking and still be sure of an amazing experience. Some of these places worth visiting are: Mysore Palace, Mysore Zoo, Chamundeshwari Temple on top of Chamundi Hills, St.Philomena's Church, Brindavan Gardens, Karanji Lake Nature Park, Kishkindha Moolika Bonsai Garden, St. Bartholomew's Church, Rail Museum and Jaganmohan Palace that has been converted into an art gallery. Check here for a complete list of tourism places to visit in Mysore. It is not just for places and spectacular buildings, Mysore is an amazing shopping destination as well. So along with basking in the glory of this “City of Palaces”, you can pamper yourself with some exquisite carved sandalwood and pure silk sarees along with incense. Since you have a car at your disposal, you can plan to spare some time for shopping. Some of the best places to go shopping in Mysore are Government Sandalwood Oil Factory for Sandal Powder, Sandal Oil and scented incense sticks. Plan a visit to Cauvery Arts & Crafts Emporium and streets and by lanes of Mysore if your are confident about your bargaining skills. Visit to Government Silk Factory presents you with opportunity to see the weavers at work and cresting unbelievable beautiful silk creations. For accommodation, you will have umpteen number of options ranging from budget hotels to resorts in Mysore catering to varying needs and preferences of the tourists. Also some travellers instead of traveling all the way from Bangalore to Mysore by cab, they prefer to go to Mysore by bus and then opt for a tour package starting from Mysore. Mysore Tourism from Holidays DNA offers customized all-inclusive Mysore tour packages with cab, meal plan and hotel. Holidays DNA also offer all inclusive tour packages from Bangalore, Mysore, Coorg, etc..
Each and every place in Mysore is beautiful. Up.tours is portal dedicated to one day tour packages and it has huge list of handpicked one day tour packages for Mysore. Choose your Bangalore car rental service provider from the list and book a car on rent to explore Mysore at the most affordable rates in the market. Although the weather in Mysore is pleasant throughout the year, it is better to have your trip planned during the months of September to April. The nearest railway station is Mysore. There are frequent trains from Bangalore to Mysore. There are many buses services running between Bangalore and Mysore. One go via Bangalore-Mysore highway. Tourists can either choose public transport or travel by taxi or their own private vehicle. Mysore is well-connected by road to other cities as well such as Madras, Mangalore, Coimbatore, Ooty, Cannanore, Calicut and Panaji(Goa). Mysore does not have an airport. The nearest airport to Mysore is Bangalore.